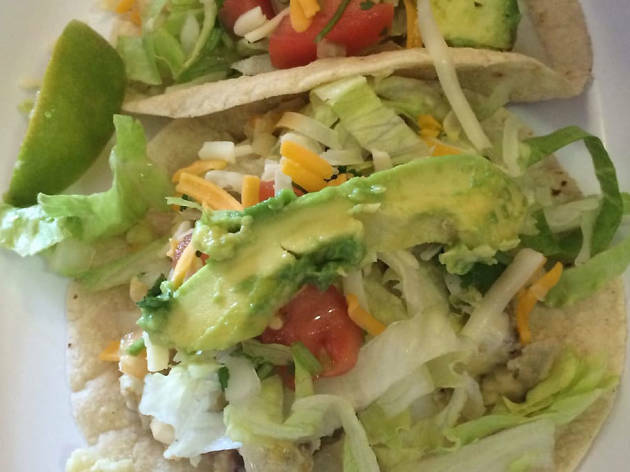 This popular taqueria serves an interesting fish taco. Instead of grilling the tilapia, the chefs steam it: Which explains the dish's cohesion. 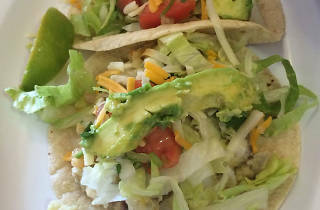 It all comes in a corn tortilla loaded with chopped tomatoes, lettuce, shredded cheese and avocado.